John Gonzalez and Amy Sherman spent time with the National Cherry Festival Queen, as well as reps from Traverse City Tourism as they get ready for the National Cherry Festival. They were in Grand Rapids to record the show at Terra restaurant in Eastown. By the way, Beer of the Week comes from Right Brain Brewery in Traverse City, which has a special beer, just in time for the Cherry Festival. 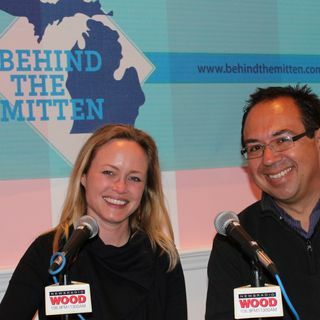 Segment 1: Jenny Jenness joins us from Traverse City Tourism. Segment ... Más informaciones 2 (Listen at 10:10): The National Cherry Festival's new executive director Kat Paye tells us why you need to attend this year's festival. Segment 3 (Listen at 18:51): Joining us is Abbey Kaufman, the National Cherry Festival Queen. Segment 4 (Listen at 28:40): All of our guests return to tell us their "must" attend event at this year's festival, which runs July 1-8, 2017. We also do Beer of the Week and other statewide events. This show aired June 24-25, 2017.